Did Myth Busters ever disprove the "sucked from an airplane" myth? On a recent flight from New York to Nashville, I took my seat on Barbie’s Dream Plane, otherwise known as a commuter jet, and was faced with a vehicle in such disrepair it actually unnerved someone who has flown more than 1.5 million miles in 15 years. And yes, that would be me. Well, I guess $57,000 will buy a helluva lot of duct tape - 16,913 rolls at WalMart by my calculations. The first time this response was given I chuckled a little. But after the next five to six responses I began to bristle and wonder, do people even understand what money management entails? Managing an investment firm is really no different than running an airline, albeit on a much, much smaller scale. And of course, investment firms find the use of duct tape is generally verboten when dealing with institutions and high net worth individuals. 2. We think the “Rich List” is reality. Every year, Forbes and other publications publish their “Richest Hedge Fund Manager” lists, striking envy and loathing into the hearts of readers around the globe. And while it’s easy to be gobsmacked by the fact that Ray Dalio is worth $15.2 billion, John Paulson $13.7 billion and Paul Tudor Jones $4.3 billion, this is not the reality for most fund managers. I’ve done the math for you before, but suffice it to say that the base pay for the AVERAGE hedge fund manager is something closer to $500,000-$750,000. While this is certainly a lot of money, it’s not as far in the stratosphere as one might think. Medscape reports that an orthopedic doctor can bank $413,000 or more annually as well. One study showed the median CEO pay package at companies with $1b in revenue was $15.1 million in 2012. And the top 0.1% of earners in the U.S.? Roughly 40% of them are top management at corporations, excluding finance. If you want to know what pay is really like in the hedge fund universe (or if you're negotiating your bonus), look at SumZero’s report on hedge fund compensation. And remember, only 0.07% of hedge fund managers are billionaires. 3. We focus more on fees than value. Roughly two weeks ago ago, I tweeted that CALPERS would be reducing the number of private equity managers in their portfolio to reduce fees. Almost immediately after the tweet, um, tweeted, I received a reply asserting that maybe CALPERS just didn’t get enough out of their private equity investment to justify costs. How much has CALPERS made off private equity per their own website? $31 billion over 14 years. Likewise, hedge funds have returned $1.5 trillion after fees over the last decade according to AIMA. At the end of the day, investors invest to generate returns. We all know this doesn’t happen in a vacuum, without skill or without a significant investment of time and energy and business acumen on the part of those managing money. Frankly, my biggest concern when looking at my investment portfolio is my net return. If I am happy with that, I don’t necessarily dwell on what someone else is making. After all, I don’t likely have the skill, staff, time or expertise to generate a similar return. It’s truly unfortunate that we’ve become almost singularly focused on investment manager income rather on diversification and value creation, but that’s where we seem to be. 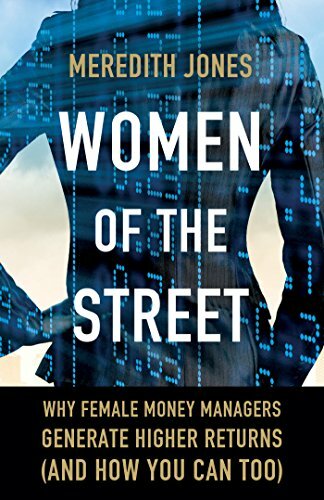 As a case in point, a February 1, 2015 article on the dearth of female fund managers pointed to one possible reason for the lack of estrogen on Wall Street: “On average, women appear to place more importance on feeling that their job has a clear value to society,” said Anne Richards of Aberdeen. And I guess that leads me to wonder, when did making folks money, safeguarding retirement and financial goals, or helping pensions fund liabilities lose its value?